The Chinese government has limited the oil supply that they give to North Korea. China is also said to be stopping the purchase of North Korea's textiles, this is likely due to the United Nation's sanctions that were recently imposed. This is bad news for North Korea because they have very high tensions with the United States at the moment. The United Nations has recently imposed sanctions on the nation of North Korea because of their continued advancements in nuclear weapons over the years. North Korea also fired a missile over Japan causing international calls for Kim Jong UN (the leader of North Korea) to stop the development programs. However, it does not seem as if Kim Jong Un wants to stop anytime soon. China has said that North Korea will be limited to two million barrels of oil per year. This covers refined petroleum and is going to be coming into effect on January 1st. North Korea is also dependent on Chinese oil imports. Some estimations are low and this leaves many people wondering how deeply this limitation can really affect the regime. There's also the fact that China is stopping textile imports from the north. This is a large part of the North Korean exports and the reason its such large economic blow against the regime is because China is one of the largest traders with North Korea. It has been reported that China accounts for around 90% of all North Korean trade. China has attempted to be patient with Kim Jong Un and North Korea however within the past few months they have seen several launches and many threats between the United States and North Korea. 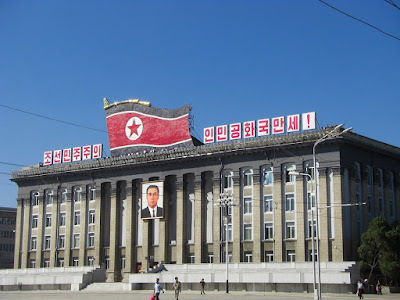 The Chinese government has said that they have experienced increased frustrations with the North Korean government.